← Rain, rain go away, if it doesn’t, it might make her day! Today is the first day of May! May’s birthstone is the gorgeous green Emerald. The word “Emerald” is derived from Latin: Esmaralda/Esmaraldus, a variant of Latin Smaragdus, which originated in Greek. 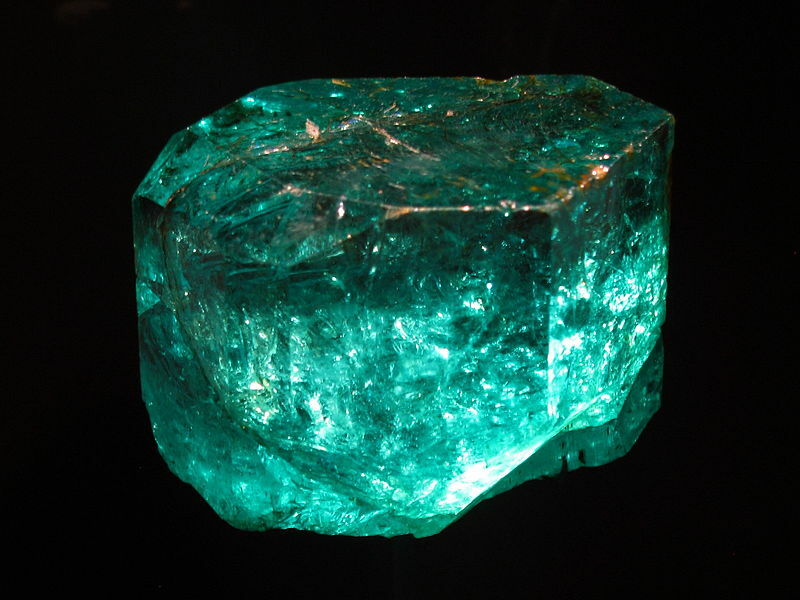 Its original source being the Hebrew word izmargad, meaning “emerald” or “green”. In the 1960’s the American jewelry industry changed the definition of ’emerald’ to include the green vanadium-bearing beryl as the emerald. Color of Emeralds: Color is divided into three components: hue, saturation and tone. Emeralds occur in hues from yellow-green to blue-green, with the primary color, or hue, being the deep green that we all know and love. Where do Emeralds come from? Emeralds are 20% mined from Zambia in the Kafabu River of Africa. This area ranks 2nd to the production of the mines of Colombia, South America. In the past, Emeralds in were mined by the Egyptians, as well as India and Austria. What is the largest Emerald ever mined? The Gachala Emerald is an uncut 5-cm Emerald weighing a whopping 858 carats! (172 g). The stone was found in 1967 at Vega de San Juan mine in Colombia, South America and is named after the mining district where it was discovered. It is now in the US and it was donated to the Smithsonian by the New York jeweler, Harry Winston. Interesting information and legends about the Emerald: Supposedly, Emeralds will cure you of bad health, healing a variety of illnesses and insuring good health for the person that wears it. Also, it was believed that the wearer of an emerald could see into the future. It is said to drive away evil spirits and to bring wisdom to the wearer as well. See our collection of May Birthstones, the lovely Emerald! What do you think about the Emerald? Do you think it bring you good health when you wear it? This entry was posted in Birthstones, Jewelry and tagged birthstone, emerald, Green, may. Bookmark the permalink.